Bateleur Main Camp - Timbavati Accommodation. The feature of the camp’s central area is the covered, open-sided wooden deck that houses the lounge and dining areas and overlooks the riverbed and its seasonal waterhole. The comfortable lounge area is an ideal place for idle game viewing or relaxing with a good book and a cool drink between guided activities. Books are available from the library and drinks can be purchased from the bar. At meal times the dining area is the perfect location for enjoying sumptuous meals whilst absorbing the sights and sounds of the African bush. The wooden deck extends past the adjacent chemical-free swimming pool which allows guests to cool off in the heat of the day without missing the wildlife and birdlife that frequent the waterhole. The central area is completed by a tastefully finished, low-walled boma area open to the stars with chairs set up around a central fireplace. This is an ideal place to relax around the fire and share stories of the day’s activities under a big African sky. Adjacent is the camp’s braai/barbeque area where food is often prepared by the chef on the open fire. Accommodating up to 16 people, the camp offers very spacious, comfortable safari units with a unique design. Each unit has: a thatched A-frame roof with supporting gum-pole structure and covered patio; canvas sides with large windows offering fixed mosquito screens and roll-down flaps; double wooden front doors with fixed mosquito screens and roll-down flaps for the top half; a large en-suite bathroom. The safari units vary in size, each sleeping 2-4 persons in comfort with spacious beds, quality linen, mosquito nets, bedside tables, solar powered bedside lamps, wardrobes, adequate storage facilities, and a solar powered fan for the hot weather. Plug points are provided for charging camera batteries. Each spacious en-suite bathroom has flush-toilet, basin and a hot-water shower. Some units have an interior bath tub and a private outdoor shower. Quality towels are provided. When designing and building Bateleur Safari Camp, it was a priority to make as small a footprint as possible. Tented walls were chosen over concrete structures, allowing guests inside the units a closer interaction with the outdoors. No trees were removed during the building process, allowing the camp to unobtrusively blend into the surrounds. Approximately 120 trees have subsequently been planted in and around the camp. Regular 4-legged visitors that can be seen walking within the camp perimeter during the day include Nyalas, warthogs and bushbuck. Elephants, buffalo and rhino can often be seen walking through the river bed in front of the camp. And at night, anything shorter than an adult elephant can, and often does, walk through the camp under the cover of darkness. The food at Bateleur is of excellent quality and is best described as ‘wholesome South African cooking’. It is not ‘5-star, 5-course, arranged in a tower with a drizzle of something sticky on the plate’. It is high quality, very tasty food that you will enjoy consuming in the midst of your unique bush surroundings. The day starts with coffee and biscuits before your first guided game activity. Brunch is typically a cooked breakfast of eggs, bacon, sausage and toast with the option of cereals for the extra hungry. Lunch is a lighter affair, usually a quiche or similar with salad and bread to comfortably fill the gap between brunch and dinner. In the evenings you will typically have bread and salad to start with, a delicious main meal comprised of a starch such a potatoes or rice, a variety of vegetables, and a protein such as chicken or red meat (often cooked on the open fire in front of the guests), followed by a very tasty pudding. It is all delicious and our guests have been very happy with the quality of the food since we opened in 1991. There is always plenty of food to go around and you will not be disappointed unless you come with the expectation of 5-star nouvelle cuisine because that just does not fit in with what we offer as an overall safari experience. We offer a good selection of South African wines, beers and ciders, designed to complement your time in the African bush. But this is not intended to become the focus of your stay and we do not offer a full bar service. Please note that you need to bring cash for alcoholic beverages because we do not offer credit card facilities and there are no ATM’s in the bush. The camp is surrounded by a 2-strand electric ‘elephant fence’ which is merely in place to prevent the elephants from destroying the en-suite bathrooms, central showers, or swimming pool in the dry season, or the camp’s beautiful trees whenever the mood takes them. Everything shorter than an adult elephant can and does walk freely in and through the camp area and you will receive a full safety brief on arrival. At night it’s best to remain in your safari unit after you’ve turned in for the night! This is untamed Africa at its best. Guided activities take place every morning at sunrise and every afternoon-evening from mid-afternoon, all under the watchful guidance of qualified and armed rangers. Bush walks - The guided bush walks are led by qualified and armed rangers. Every walk is a book on its own, with the emphasis on information relating to all the wonders of nature, big and small. Bushcraft and survival skills - During your stay at Bateleur Safari Camp, weather permitting, you will be treated to practical information and instruction relating to bushcraft and survival skills. 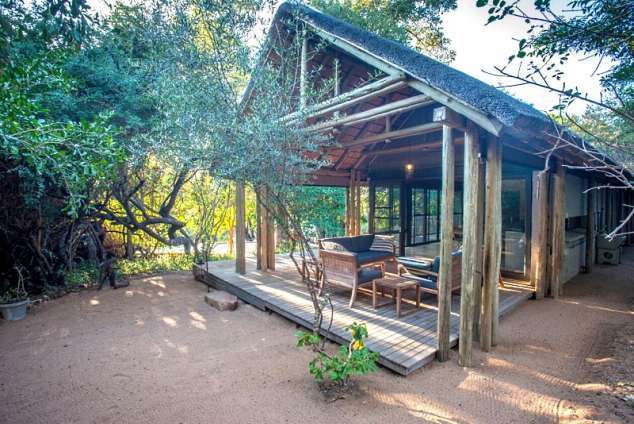 Accommodation in quality 2 to 4-person safari units with en suite bathrooms. Daily morning and afternoon-evening guided game activities led by qualified rangers & trackers. Informative instruction relating to bushcraft and survival skills. 3 meals per day; teas & coffees; soft drinks; juices; bottled water. Timbavati Reserve Conservation Levies: (subject to change without notice). 1 January – 31 December 2018: Adults R328 per person per night; Children aged 6-11 R164 per child per night. 1 January – 31 December 2019: Adults R368 per person per night; Children aged 6-11 R184 per child per night. Timbavati Gate vehicle levy of R160 per vehicle (subject to change without notice). Alcohol - local beers and wines can be purchased in camp. ALL transfers to and from the camp - options and rates available on request. 381 page views since 05 Jun, 2018.